DEADLINE EXTENDED till 1 August 2017. 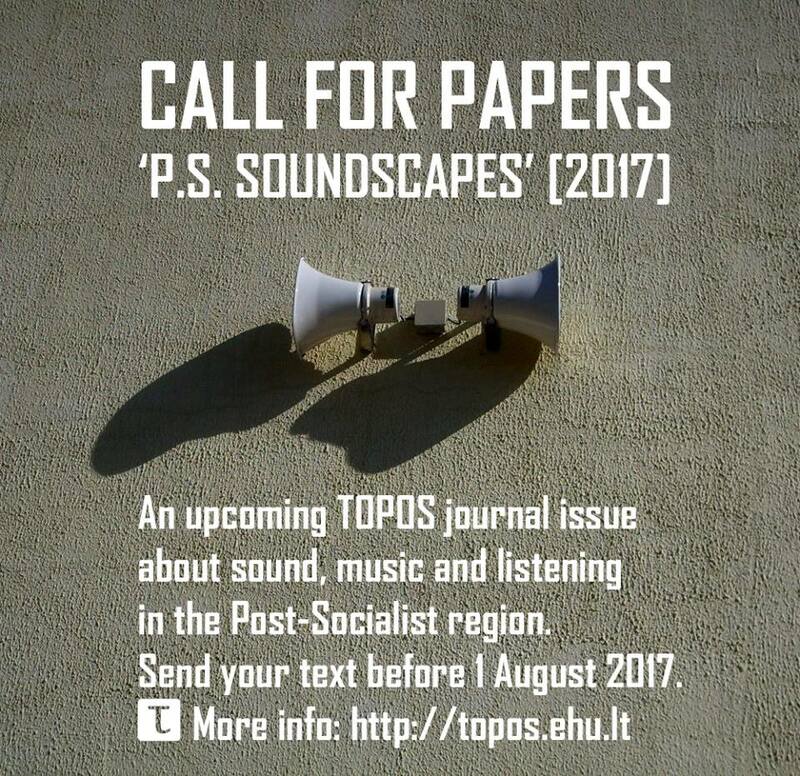 Philosophy & cultural studies journal “Topos” has extended a call for papers for a 2017 issue - ‘P.S. Soundscapes’ - focusing on sound, music and listening in the post-Soviet and Eastern European region. The issue editors: Benjamin Cope & Pavel Niakhayeu (Department of Media, European Humanities University). Submit your articles & reviews in English, Belarusian or Russian till 1 August 2017. Гэты запіс апублікаваны Пятніца, Чэрвень 2, 2017 в 1:43 am	. Катэгорыі: news, research. Вы можаце сачыць за каментарамі пры дапамозе RSS 2.0 стужкі. Каментары і пінгі забаронены.